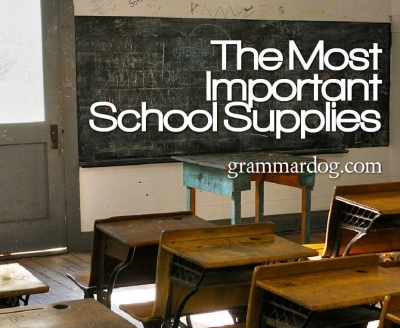 The Most Important School Supplies :: Grammar, style, and proofreading quizzes use sentences from literature. 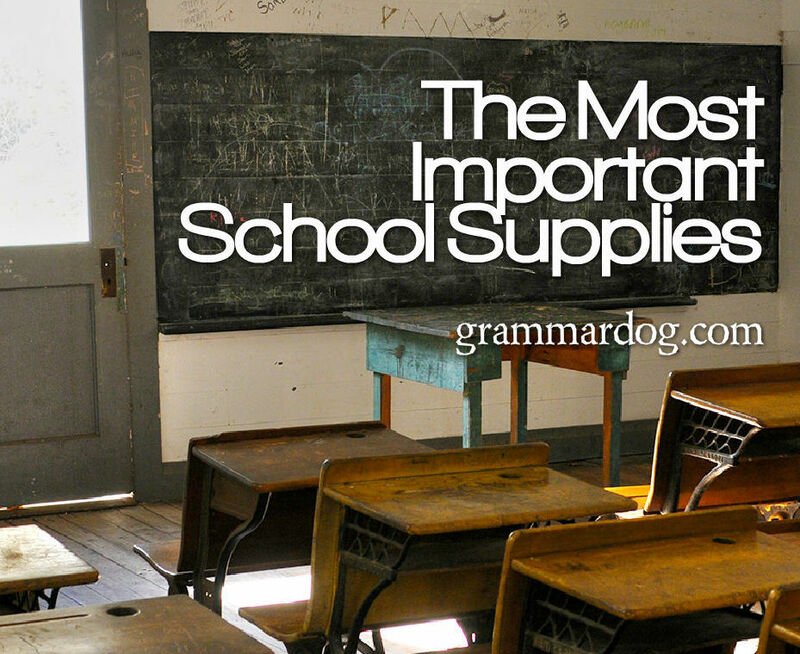 Breakfast and sleep are the most important school supplies. Sleep is free and breakfast is the cheapest meal of the day. Adequate sleep and a carbohydrate and protein-packed breakfast affect the brain, behavior, and learning success. The lack of sleep and skipping breakfast can undermine a student’s success. Sleep deprivation is easy to fix. Making sure a child eats breakfast is challenging, but not impossible to remedy. Preschoolers aged 3-5 years old need 11-13 hours of sleep each night. Children aged 6-13 years old need 9-11 hours of sleep. Teens need 8-10 hours. Here’s how sleep works . . .
1. NREM. Non-rapid eye movement composes 75% of sleep. As we fall asleep breathing and heart rate are regular. Then body temperature drops. Blood pressure drops. Breathing slows. Muscles relax. Blood supply to muscles increases. Tissue growth and repair occurs. Energy is restored. In children and teens growth hormones are released. 2. REM. Rapid eye movement composes 25% of sleep. REM occurs 90 minutes after falling asleep and every 90 minutes through the night, lasting slightly longer toward the end of sleep. After NREM relaxes the physical body, it’s the brain’s turn to recharge. During REM the brain is active and dreams occur. The brain “relives” what has occurred during the day. This is the activity crucial to acquiring and remembering knowledge because the brain re-visits the day’s learning. New information is reinforced and “filed” for later retrieval and connections with future learning. Sleep provides us with a strong immune system. Humans spend one third of their lives sleeping. That time is crucial to physical health, emotional well-being and optimal brain function. When we first wake up, our bodies are “out of gas.” After 8-10 hours of sleep children and teens need refueling. The body has used up nutrients in the night repairing tissue and restoring energy. Muscles need carbohydrates and the brain needs protein. Hormones have been racing through the body. One hormone in particular -- cortisol, a stress hormone – peaks just as we wake up. We need food to lower the cortisol level which will remain high until we eat something. An elevated blood cortisol level results in the breakdown of muscle protein, storage of fat, and increased appetite. Blood glucose levels are also low upon waking. If the body’s carbohydrate stores are not replenished after sleep, low blood glucose levels adversely affect concentration and mental performance. A slice of warmed-up left-over pizza, a Jimmy Dean breakfast sandwich, an Egg McMuffin, a breakfast burrito, chocolate Pediasure or Boost – whatever you can get kids to eat that contains both carbs and protein counts as morning fuel. Breakfast also optimizes cognitive function (learning, thinking, creating and problem-solving) during the day. School performance is not just the grades on a child’s report card. Success in school involves mastering social skills, following classroom management rules, and learning intellectual and emotional discipline. Adequate sleep and breakfast establish life-long habits that will boost performance in advanced education, relationships and jobs. Make sleep and breakfast priorities. They are two of the most important life skills that parents can teach their children.